So much has been published about the Irish revolutionary period (1910-1923) over the course of the last few years that one has to be selective about what to read. I picked out this book as it seemed to offer a slightly different perspective on events. Specifically, Walsh argues that the events of 1916 and their aftermath can only be fully understood within the context of the maelstrom of violence in Europe at that time: the First World War and the consequent collapse of the large European land empires, leading to the redrawing of borders and the emergence of new (or resurrected) nation states: Czechoslovakia, Poland and so on… (See pages 10-14.) This element, he suggests, is the oft-ignored difference between this (successful) Irish rebellion and the (unsuccessful) ones that came before. 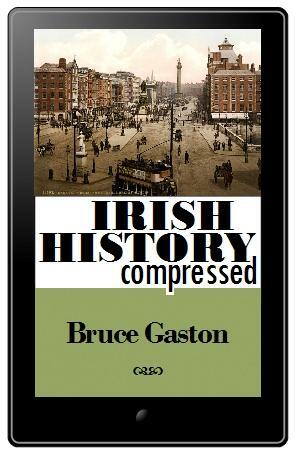 The main events of this period in Ireland are probably well known to everyone by now and can of course be found in hundreds of similar books, but even for me this one contain some interesting snippets of information that I hadn’t heard before. For example, I didn’t know that Korean nationalists drew inspiration from Irish Republicans (Korea being occupied by Japan at that time), nor that the overwhelming Sinn Fein victory in the 1918 general election was helped by a fair amount of personation and voting fraud (p. 31). There can’t be many books on the topic that compare the situation of Seán T. O’Kelly, Ireland’s would-be delegate to the Paris peace conference in 1919, to Nguyen Ai Quoc (later and better known as Ho Chi Minh), who was also there making similar arguments about Vietnam’s right to throw off colonial rule. Or that bring in references to William Joyce (‘Lord Haw-Haw’), Marcel Proust, Francisco Franco and Sigmund Freud, and, what’s more, make them illuminating rather than distracting or gimmicky. Walsh also deals with de Valera’s tour of the USA (1919-1920) in more detail than is usual, going into the difficult balancing act required to keep different factions of Irish-Americans on side. (Many books just note in passing that Dev was not in Ireland at that time.). His explanation of the status and nature of “the Empire” and the Crown’s relationship to it helped to clarify for me why exactly this was such a sticking point for the British during the treaty negotiations of 1921 (see p. 318 and pp. 327-8). He is also strong on the aftermath and especially the conservative reaction that set in after a period of radical innovation and change, during which women played an important role in revolutionary politics. His ending is rather downbeat. In an epilogue centred around de Valera’s funeral, he takes in the Northern Irish Troubles and the failure of an independent Ireland to live up to the dreams of its founders, arguing that Ireland was in a sense paralysed by its experiences 1918-1923 (p. 430). But, Walsh’s book reminds us, Ireland was not alone in expecting great things of the post-war era and was not alone in being disappointed.